How to convert HTML to Excel via command line? You are here: CoolUtils > Total Doc Converter > How to convert HTML to Excel via command line? With the help of its Word Converter Command Line mode any number of Doc files can be transformed into ready to use HTML pages or Excel tables. Note that Total Doc Converter can process lots of files in one batch, that significantly saves time on settings. Make required settings one for all source files and enable converter with the help of simple text command. Word Converter Command Line mode allows to use all features available via user interface. 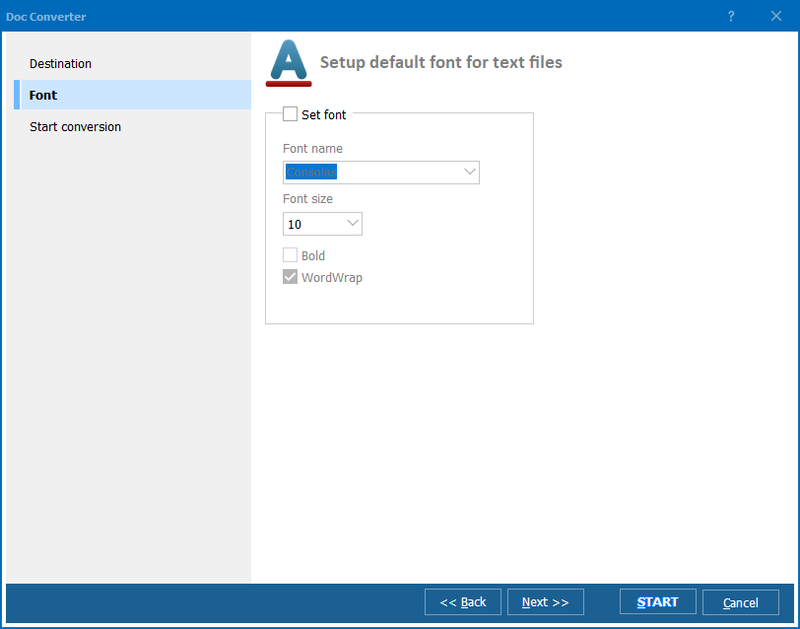 Each parameter of conversion, such as target format, paper size, compression mode is specified with the help of one single text command in standard Windows cmd window. 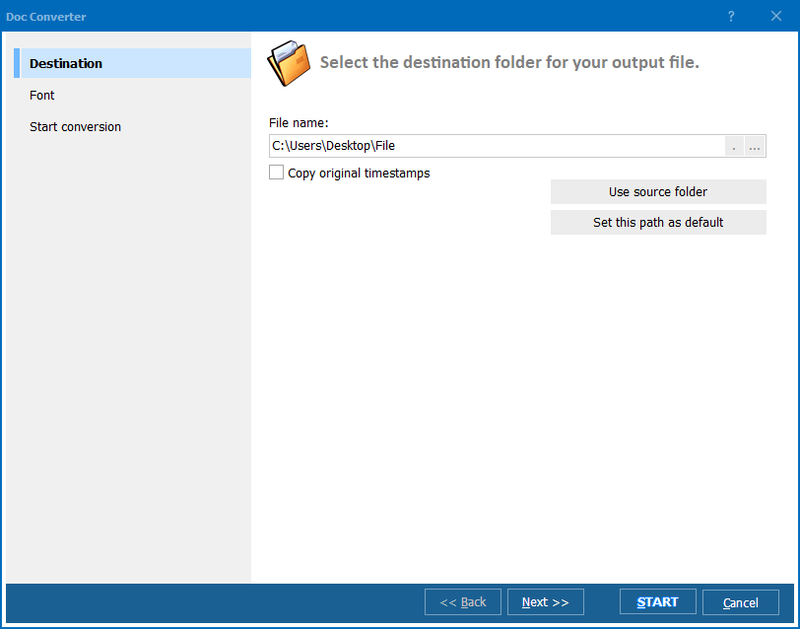 If you are used for working with programs from the command line or run converters in background mode, Total Doc Converter is definitely a good choice. After the utility is installed on your PC, enable it from the command line as a DocConverter.exe. Then specify source files address, destination files address and conversion parameters separated by space. All parameters value you can find in Help menu. 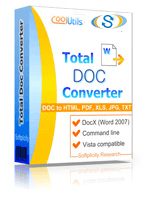 Total Doc Converter is also available in GUI-free version for using them on a web server. With the help of Total Doc Converter X you can add Word Converter Command Line feature to any web-application, use it in local network in multi-user mode (up to 10 users). 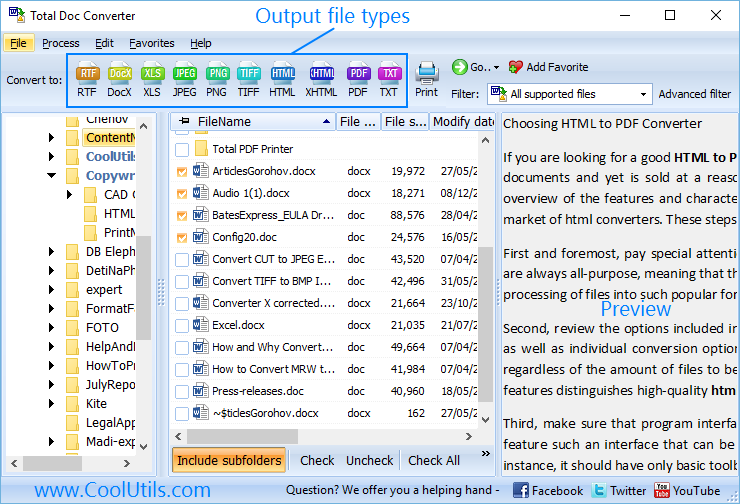 Download Total Doc Converter for free in trial to test its features.